England scrumhalf Ben Youngs says they will need players like Manu Tuilagi if they are to stand any chance of beating the All Blacks on Saturday. Eddie Jones has named Tuilagi in the squad to face the All Blacks after the centre was a late withdrawal from the team that beat the Springboks at Twickenham. 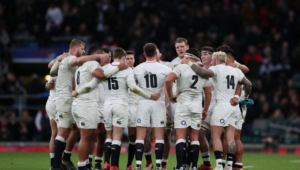 The 27-year-old could finally make his comeback after a two-year absence from Test rugby this weekend, something Youngs believes could help England to their first defeat of the All Blacks since 2012. 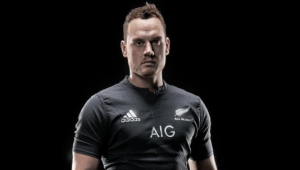 ‘We know what a world-class operator Manu is,’ Youngs told Sky Sports. ‘Seeing him in your team settles the boys down knowing he is there. It was great to see him running round today. He is looking good. ‘You need game-breakers, don’t you? 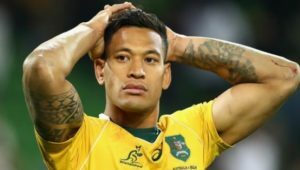 You know against New Zealand you’re going to have to score tries, simply trying to slot penalties probably isn’t going to be enough because of the threat they pose. 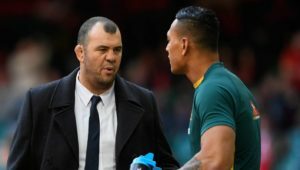 Tuilagi played an important role in England’s last victory over the No 1-ranked team and Youngs added they have the belief to replicate that performance.